Today I had both my first DECO1800 contact class and workshop. Starting the day firstly with the workshop, it gave me the opportunity to recall skills I had learnt last semester in DECO1400 and meet a few of my class mates. 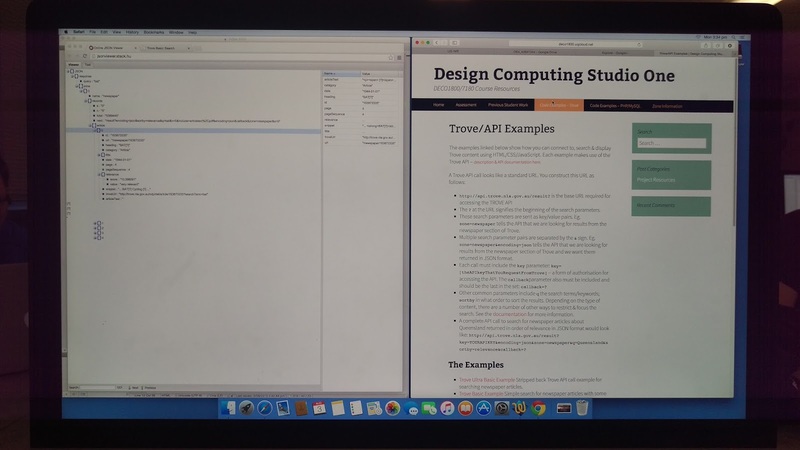 We were briefed on what our assignment would be and shown the Trove API, which I found to be quite useful and interesting. This is a photo of some of the pages I was working on during the class. Fast forward to the afternoon, this is when I had my contact lesson. We started off by doing some 'ice-breaking' activities, which involved the students moving to a specific side of the room to answer a question posed by the tutors. It helped us all to get to know a little bit about people in the room. After that we each sat at a table, and after introducing ourselves we began brainstorming ideas for the project. 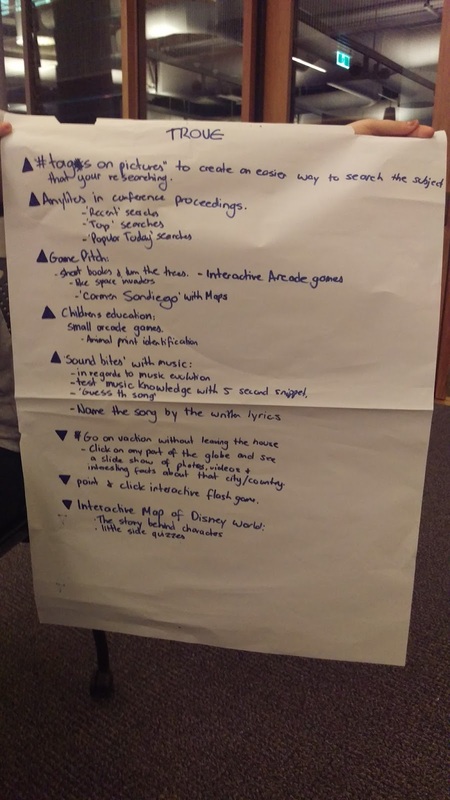 Here is an image of our notes involving the project and Trove.